This photo was sent to us from Glades_walker of South Florida. This bear photo was taken on an inexpensive deer cam that I purchased at bass pro shops. I hike frequently in the Big Cypress area of the Florida Everglades and came across some bear tracks. I placed the camera at the cross section of a game trail and buried my last doghnut a few feet in front. 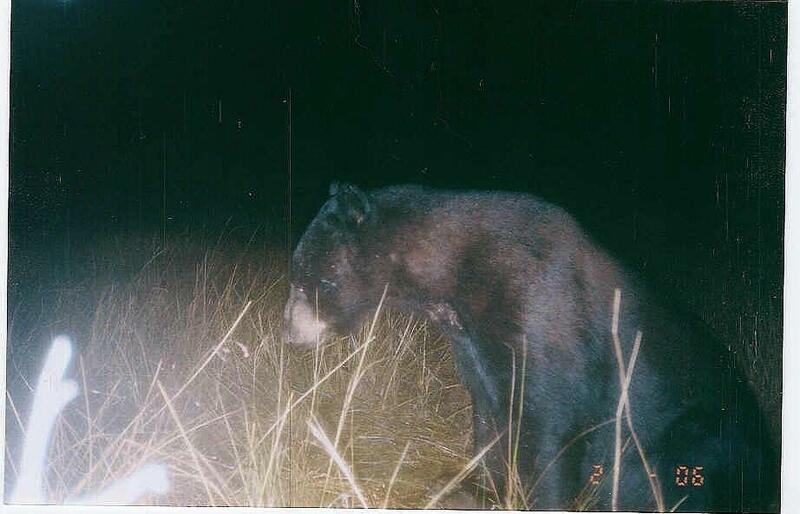 This picture of a black bear taken in February of 2006 was the result. 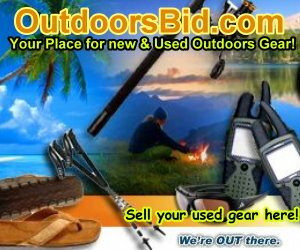 Its amazing how much fun you can have with even the least expensive trail cameras! Actually, this photo was taken with an inexpensive trail cam and the help of a krispy creme doughnut! It really is amazing the things you can get pics of with even the most inexpensive trail cams!